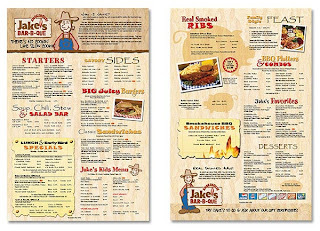 Restaurants have long believed that there is a correct way to design a menu. The assumption is that there are certain areas of the menu that consumers will look at first and longer (sweet spots) than other areas of the menu. A SF State researchers employed eyetracking technology (scanpaths) to determine how consumers really read a restaurant menu. The new study by SF State researcher Sybil Yang, assistant professor of hospitality and tourism management, suggests that on average diners read menus sequentially like a book, and that their gaze doesn't linger noticeably longer over any particular location on the menu. The finding goes against decades of conventional wisdom in the restaurant business that suggests there is a menu "sweet spot" where diners look the longest. Restaurants place the items they hope to sell the most in this fabled sweet spot, lying just above the midline on the right-hand page. The sweet spot is just one strategy, along with colorful text and highlighted boxes, which menu designers use to catch a diner's wandering eye, said Yang. It's an idea with surprisingly little data behind it, Yang found out. While researchers have studied how people scan a Web page or textbook, there are very few empirical studies of menu reading. Menu reading might be quite different from reading in other contexts, Yang pointed out, "because in a restaurant you have an audience with the motivation to read the entire thing." "The restaurant industry has been piggybacking off past research," said Yang, without having the resources to test ideas like the sweet spot. "It's like a bad rumor that just kept perpetuating." 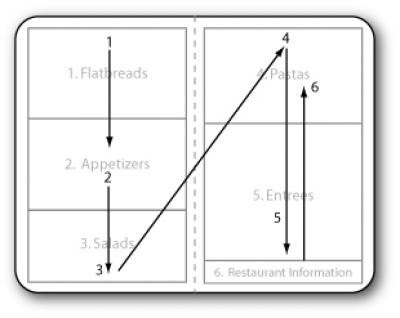 One widely cited study of menu "scanpaths" comes from graphic designer William Doerfler, who published an influential "focal map" of menu reading suggesting that a reader's eyes zigzag across menu pages and focus for the longest time on the right-hand sweet spot. "I could only go from my own experience," Yang said, recalling the Doerfler study, "so I was thinking, 'am I just weird?' because I don't read it that way." To learn more, Yang recruited test subjects to wear an infrared retinal eye scanner, read through a mock menu, and then choose a full meal as if they were at a real restaurant. 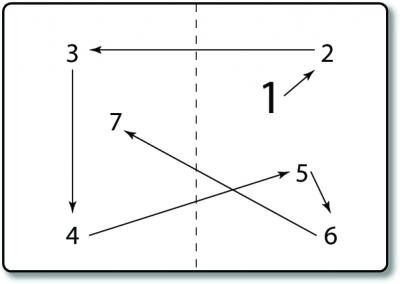 She used video to record and analyze the readers' eye movements, or scanpaths as they perused the menu. She found that on average, people read the menu sequentially like a book, moving from left to right and down the pages of the two-page menu. They read slowly, suggesting that they were reading for information rather than just scanning the pages. Yang found no evidence of a sweet spot where eyes tended to focus for the longest time, but she did notice a "sour spot" where readers focused for the least amount of time. The sour spot contained information about the restaurant and a list of salads -- which may not have been of interest to the mock diners, Yang suggested. "The good news [for restaurants] is that people are reading the menus carefully, and that they seem to be choosing an entrée and then building a meal around it," she said. Restaurant owners that have seen Yang's data say "that this makes absolute sense," she said, "and that they're glad to have the empirical data." There are plenty of other tricks of the trade in menu design that deserve closer scrutiny, said Yang. One of her other research projects involves the importance of decoys on menus – "the items that are never meant to be chosen, but are placed there to affect your other choices," she explained. The most famous example might be the $199.99 order of 20 buffalo wings and a bottle of Dom Perignon at Hooters restaurants, but many restaurants use decoys. The details of design are especially important in an era where restaurant chains in particular have been bought by large, diversified corporations "with an interest in squeezing every one to two percent of profit out of them," Yang said. "It makes menus an even more important part of marketing."